Who invented the Ironing Board? The name of the person credited with inventing the Ironing Board is Sarah Boone (1832 - 1904). Sarah Boone is not only famous as the African-American inventor of the Ironing Board but also as a dressmaker who began her life as a slave. When was the Ironing Board invented? Sarah Boone invented the Ironing Board in 1892, during the Second US Industrial Revolution / Victorian period of invention (1850 - 1914). Definition of the Ironing Board: The Ironing Board is defined as a long, narrow padded board on collapsible, folding supports that is used for ironing clothes and laundry. Fact 1: Who invented the Ironing Board? The Ironing Board was invented by Sarah Boone in 1892 during the Second US Industrial Revolution era of inventions (1850 - 1914). Fact 2: Who invented the Ironing Board? Prior to the invention of the Ironing Board in 1892, Electricity become available as a source of power in homes during the late 19th century and the electric iron was invented by Henry W. Seeley (1854 - 1908) in 1882. However people continued to use flat irons, charcoal irons and gas irons until much later when the electrification of American homes was completed. Fact 3: Who invented the Ironing Board? Ironing was a hot, hard and arduous task made even harder because no one had designed a convenient and effective ironing board. Fact 4: Who invented the Ironing Board? After laundry work was finished clothes were ironed on a makeshift board that balanced on a couple of chairs, or used an empty table if one was available. It was inconvenient and really difficult to iron items such as the collars and sleeves of shirts and dresses. Until an enterprising and determined young woman, named Sarah Boone, invented the ironing board. Fact 5: Who invented the Ironing Board? The African American inventor of the Ironing Board, Sarah Boone, was born as Sarah Marshall in February 1832 in Craven County, North Carolina, United States and died on October 29, 1904. Fact 6: Who invented the Ironing Board? The early years of Sarah Marshall Boone were spent in Craven County, North Carolina, United States where she lived with her parents who were slaves on a plantation. Sarah Marshall never attended school because she was a slave . In 1830, two years before Sarah was born, a North Carolina state law had been passed prohibiting anyone from teaching a slave to read or write. Despite the obvious danger, her grandfather taught Sarah to read and write. Fact 6: Who invented the Ironing Board? At the age of 15 years old Sarah Marshall left plantation life when she married a freedman named James Boone. Sarah was bought out of slavery and the couple married on 25 November, 1847 in the town of New Bern in Craven County and went on to have eight children together. Fact 7: Who invented the Ironing Board? North Carolina was a slave state and would remain so until after the Civil War (1861 - 1865) when slavery was finally abolished when North Carolina was readmitted to the Union in 1868. James and Sarah Boone were both free and made the decision to relocate from the Southern Slave State to a Northern Free State. Fact 8: Who invented the Ironing Board? Sarah Boone and her husband James chose to move 600 miles away to New Haven, Connecticut. It is not known exactly when they made their move but it was possibly influenced by Connecticut abolishing slavery in the state in 1848, just after Sarah and James Boone were married. Fact 9: Who invented the Ironing Board? James Boone established himself as a brick mason and Sarah Boone worked at home as a dressmaker, helping to support their large family of eight kids. Fact 10: Who invented the Ironing Board? Sarah Boone became a skilled dressmaker and seamstress but she faced prejudice from many directions. Women who worked were considered to be of low status, black women, an even lower status. Fact 11: Who invented the Ironing Board? James Boone died in 1874 and Sarah was left to raise her children alone and continued her work as a dressmaker. Fact 12: Who invented the Ironing Board? The job of the dressmaker was painstaking and there was a lot of competition for this type of work. Sarah Boone's reputation was built on the new dress looking perfect and pleasing the customer. Fact 13: Who invented the Ironing Board? When Sarah finished a dress she had to iron it, making sure the garment was sleek, wrinkle free and did not have unnecessary creases. The arms of garments proved to be a real problem - it was almost impossible to iron sleeves without creating a crease. Fact 14: Who invented the Ironing Board? Henry W. Seeley's invention of the electric iron in 1882 revolutionized the task of ironing, making it much easier to press clothes and keep them wrinkle free. However, its is doubtful that Sarah Boone possessed the new labor saving device for some time because Electricity did not become available as a source of power in homes until the late 19th century. It wa likely that Sarah Boone had to use a gas iron or charcoal iron. Fact 15: Who invented the Ironing Board? Sarah Boone needed to make all aspects of her work efficient and focussed on the problem of ironing the new clothes she had made. She designed a long, narrow Ironing Board with curved to edges that the back and front seams of a sleeve could be slipped over. Fact 16: Who invented the Ironing Board? The invention of the Sarah Boone Ironing Board included a hinge allowing the ironing board to move up and down. Ironing Board was a cheap, simple, convenient, and highly effective device that was perfect for ironing the sleeves and bodies of ladies garments and the pressing the sleeves of men's coats and shirts. Fact 17: Who invented the Ironing Board? Sarah Boone made the brave decision to apply for a patent for her invention - it was practically unheard of for women to invent anything let alone apply for a patent! She arranged for patent attorneys Fred. O. Earle and Lillian D. Kelsey to act on her behalf and prepared the patent application for the Ironing-board which was filed with the United States Patent and Trademark Office (USPTO) on July 23, 1891. Fact 18: Who invented the Ironing Board? The patent was granted to Sarah Boone for her invention of the Ironing Board on April 26, 1892 under US patent number 473653. Her patent attorneys Fred. O. Earle and Lillian D. Kelsey witnessed the patent application for her Ironing Board. Fact 19: Who invented the Ironing Board? Sarah Boone was one of the first black women in the United States to ever receive a patent for an invention. Fact 20: Who invented the Ironing Board? Sarah Boone was never recognized for her invention of the Ironing Board during her lifetime, nor did she make any money for her invention. 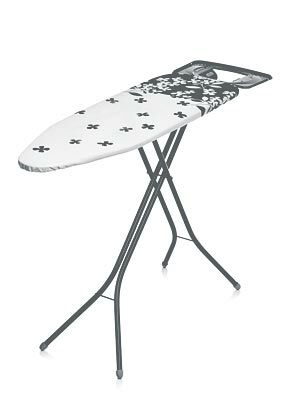 Fact 21: Who invented the Ironing Board? Sarah Boone died on October 29, 1904 in Evergreen Cemetery, New Haven County, Connecticut. She will always be remembered for her invention of the ironing board. Who Invented the Ironing Board - Sarah Boone - Inventor - Ironing Board Invention - Definition - Meaning - Famous - Important - History - Timeline - Innovation - Significant - Development - Household Items - First - Definition - Kids - Facts - Information - Info - Who invented the Ironing Board - Dates - When - Why - Impact - Purpose - Use - New - Old - Amazing - Best - Definition - Meaning - Awesome - Cool - African-American - Ironing Board History - Ironing Board Timeline - Sarah Boone - Who Invented the Ironing Board?